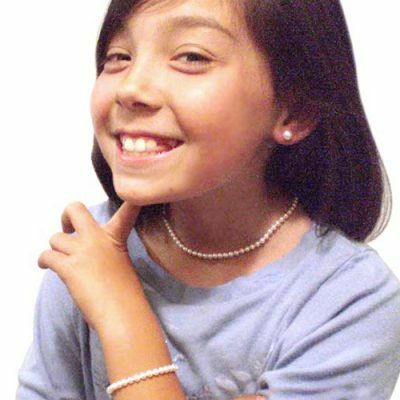 This celebrity inspired pearl choker set is truly elegant and gorgeous! The choker and bracelet are composed of 4 rows of 5-6mm high quality pearls that have very high luster. 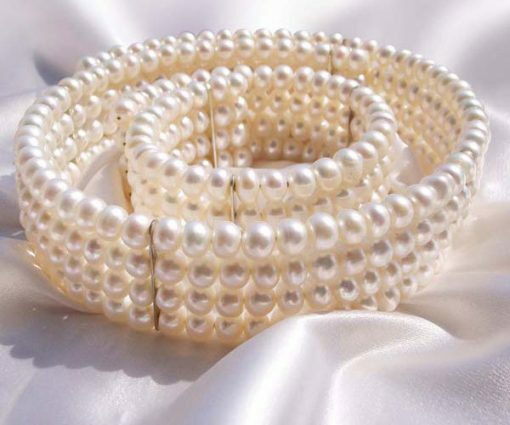 The pearls are AA quality with almost no visible flaws and minimal markings (which are due to being grown organically). They are shaped as a dome in the front and relatively flat at the back side (commonly known as button pearls). There are over 600 genuine freshwater pearls on this set. Wear these to formal occasions and you will leave a lasting impression to everybody present. 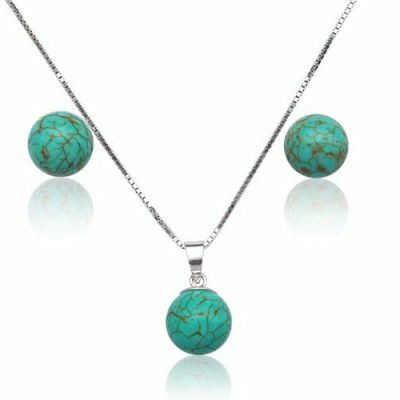 The choker has a comfort fit designed for any neck size between 13-17 inches. The bangle will fit 6.5″ or 8″ wrists. 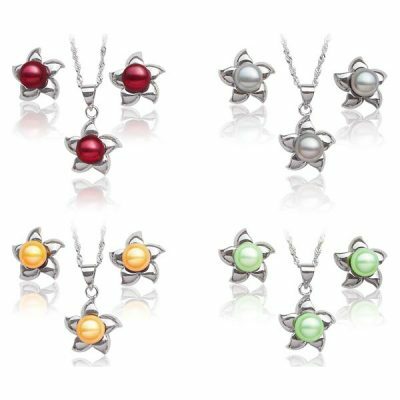 If you also wear earrings, you can go to our pearl earrings department to pick a pair of earrings that will fit your style.